Diageo Reserve has unveiled The Singleton of Dufftown Malt Master’s Selection, a no-age-statement single malt whisky released as part of a revamp of the brand’s entire core range. The whisky, bottled at 40% abv, promises a ‘slightly sweeter’ take on the classic Speyside style used by the Singleton of Dufftown 12 Year Old. Malt Master’s Selection has been matured in a combination of refill, Sherry and Bourbon casks, with a greater proportion of refill to allow ‘the sweet yet refined distillery character to shine through’. The new whisky’s release also heralds the arrival of a packaging revamp of the Singleton of Dufftown’s core range, inspired by 19th-century hip flasks and blown from blue glass. ‘The rebrand of the 12, 15 and 18 Year Old will also create a strong standout for the collection on-shelf,’ said Temperley. 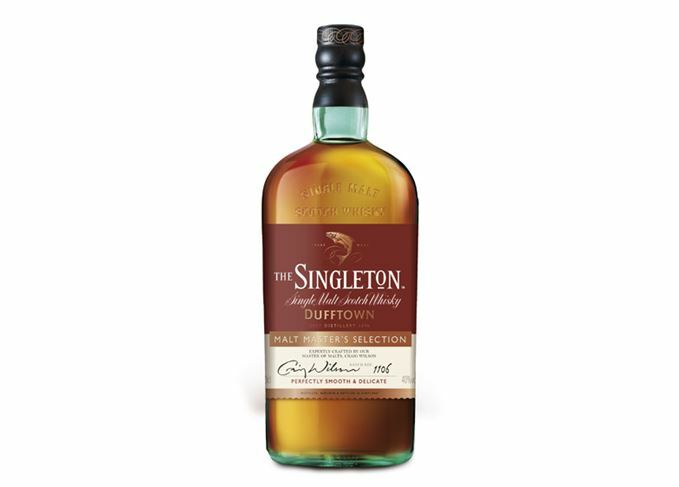 The Singleton of Dufftown Malt Master’s Selection will be available globally to both on- and off-trade consumers, priced at about £30 a bottle. Scotch has the fruit, oak and smoke to create the perfect seasonal serves for this time of year. The whisky from The Singleton’s Forgotten Drop series is the oldest ever released by the distillery. The bartender-turned-brand ambassador talks cocktails, Game of Thrones and his hatred of PPM. The single malt expression becomes the Highland distillery’s oldest release to date. Two 50-year-olds from Glenfarclas and Last Drop, plus three Singleton of Glendullans and The Trojan.